Nottingham Area Bus Society vehicles, Nottingham Transport Heritage Centre! Ruddington, Sun 18 Februay 2018. Part of the society's collection. 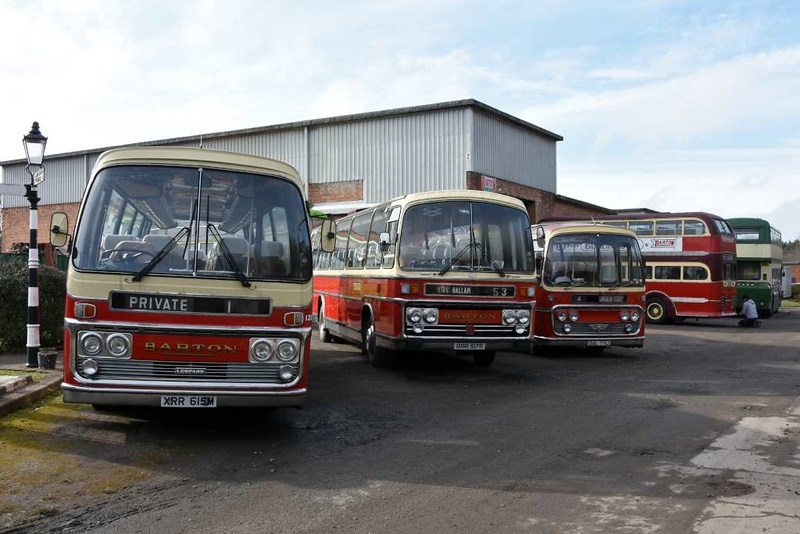 At left are three Barton Transort coaches: 1973 Leyland Leopard XRR 615M; 1976 Bedford RRR 517R & 1970 AEC Reliance DAL 771J.